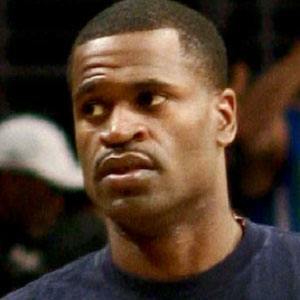 Journeyman NBA guard/forward known for his fiery personality, nicknamed Captain Jack; won an NBA Championship with the San Antonio Spurs in 2003 and played for the Indiana Pacers from 2004 to 2007. He worked at his grandmother's restaurant busing tables and washing dishes. When he was 16, his 25-year-old half-brother Donald Buckner died after being beaten. He had a child with Imani Showalter, but the wedding was called off hours before commencing. Ron Artest, who later changed his name to Metta World Peace, and Jackson were part a notorious brawl against fans during a 2004 game in Detroit against the Pistons.